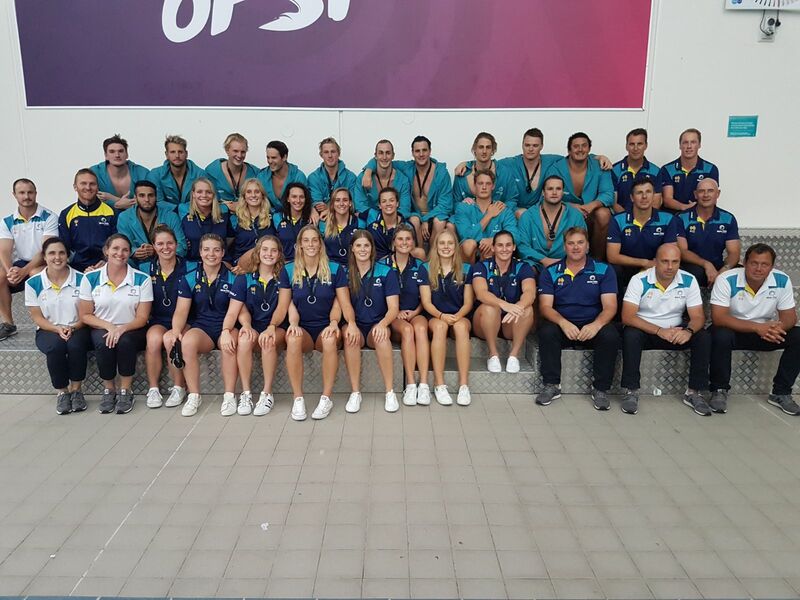 Both the Men and Women’s teams have qualified for the World League Finals following their appearances in the Intern-Continental Cups of the FINA Water Polo World League. Taking place in Auckland since Tuesday April 3rd, Australia played the USA in both the Men’s and Women’s gold medal match. The USA were ultimately too good for Australia, with a 9-6 defeat in the Men’s final and a 10-7 loss in the Women’s. The USA started strongly with two quick goals before Australia fought back, Nick Brooks scoring on an extra man before Nathan Power leveled. But Marko Vavic gave the USA the lead at the break with an absolute scorcher from out wide. With few chances in the second quarter, Power rattled the cage but it didn’t go in as the USA’s inside defence on centre forward Joe Kayes kept him from being a potential scoring option. Aidan Roach squeezed the ball through the USA defence to bring Australia level at 3-3 but Alex Bowen soon put them back in front, 4-3. With the spoils shared, 1-1, the USA led 4-3 at the halftime break. Kayes sucked a penalty when he had his arm yanked trying to catch a cross goal pass and Australia’s captain, Aaron Younger, didn’t miss, the scores back to even, 4-4. But Johnathan Hooper moved the USA back into the lead and another powerful shot from Maxwell Irving, his second of the game, gave them a two point buffer. Kayes popped out from the post and bounced in Australia’s fifth goal but Bowen gave the USA their two point lead again with an extra man goal, the Americans ahead 7-5 with a quarter to play. Irving gave the USA a three goal lead with his third before Kayes scooped up loose ball and brought it back to two with his second for the night and 20th for the tournament. Vavic scored a remarkable goal when he waited under the water then stole the ball off Australia’s goalkeeper Anthony Hrysanthos for the simplest of goals, the USA ahead by three, 9-6. With about 50 seconds to go, Australia were out of time, the USA convincing winners. A huge second half propelled the USA to gold in Auckland with Kaleigh Gilchrist and Stephanie Haralabidis leading the way in a 4-0 rush. Australia started strongly scoring three times in the first quarter to the USA’s 2 and backed that up with a 2-1 margin in the second quarter to be ahead 5-3 at the halftime break. But after being ripped into by coach Adam Krikorian at halftime the USA came out firing – quite literally – in the second half with four goals before Australia got back on the score sheet. It took them from 5-3 to 7-5, then 7-6 at the end of the quarter. But they weren’t finished with Gilchrist bagging two in the final quarter as Australia ran into foul trouble. They’d lost Amy Ridge in the second quarter then in the final lost Bronwen Knox before Elle Armit was kicked out for misconduct. The USA ourtscored Australia 3-1 in that final quarter to avenge their first round defeat and pick up the gold medal. Despite the result, silver ensures the Aussie teams qualify for the World League Super Finals, which take place in May/June.